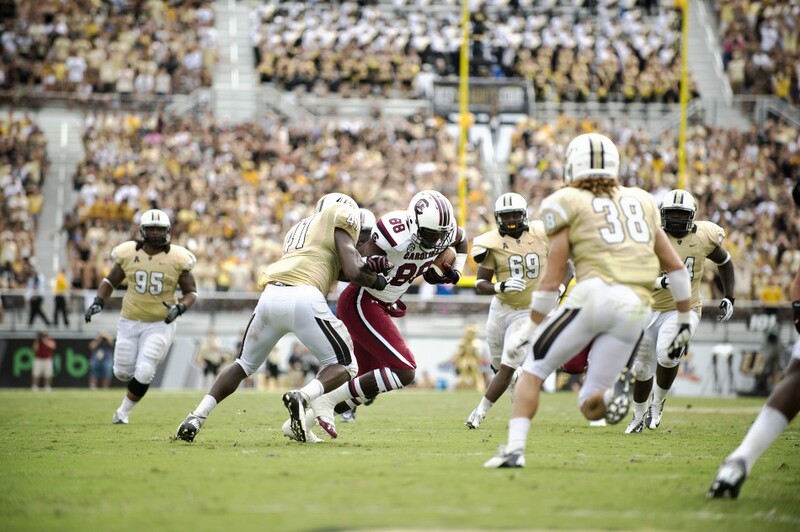 1Josh Reese (no.19) cuts left and readies for the ball. 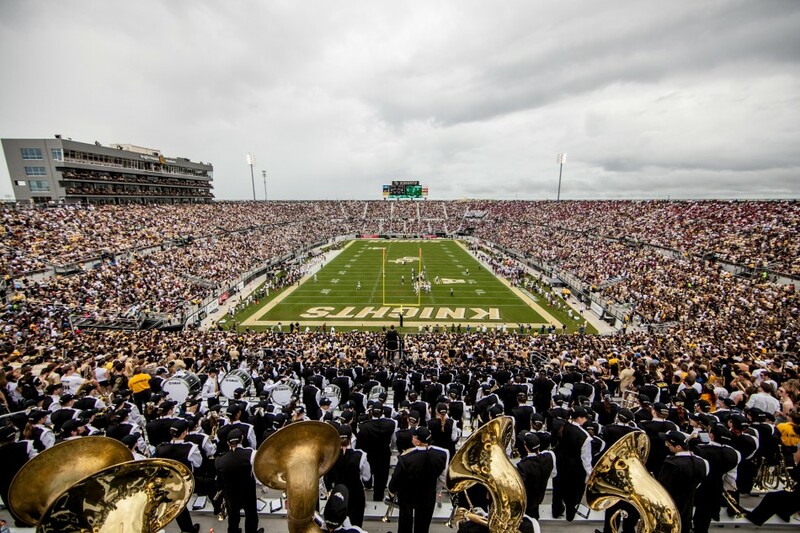 2A sold-out crowd watched the Knights battle but lose 28-25 to South Carolina. 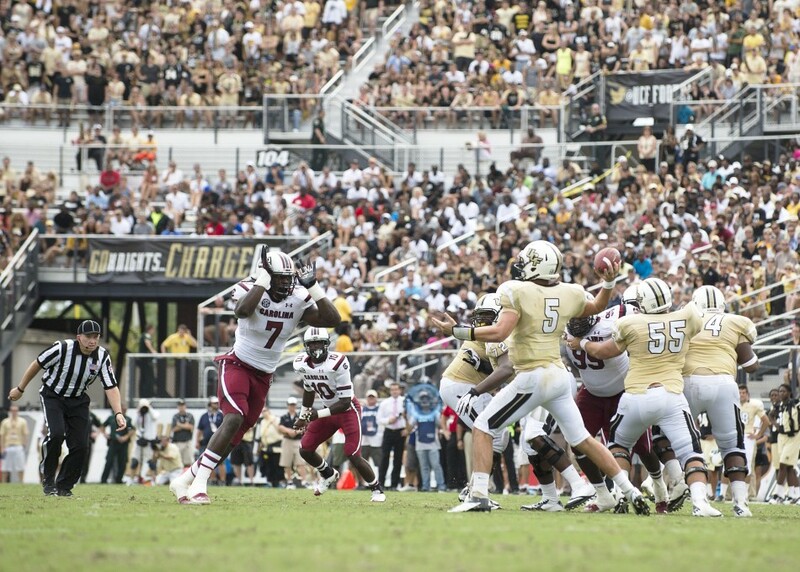 3QB Blake Bortles and DE Jadeveon Clowney battled Saturday, Sept. 28, 2013. They may meet again one day on Sunday's in the NFL. 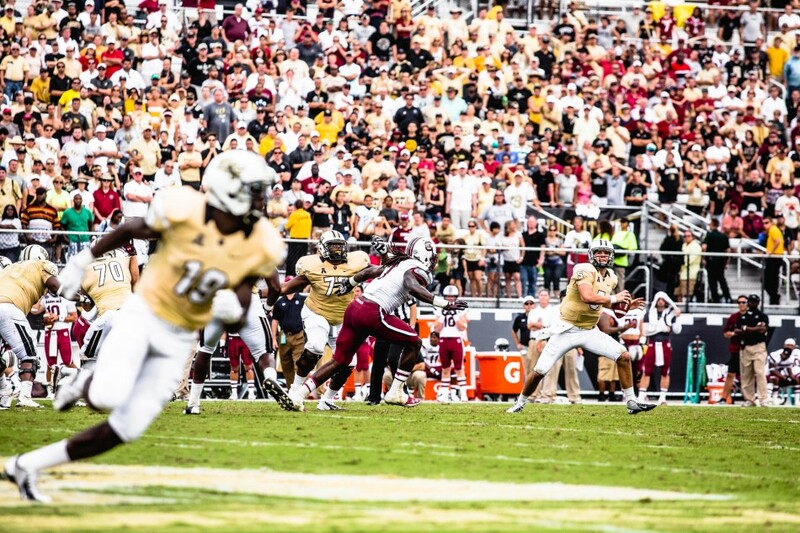 4UCF defense held USC to zero points in the first half. 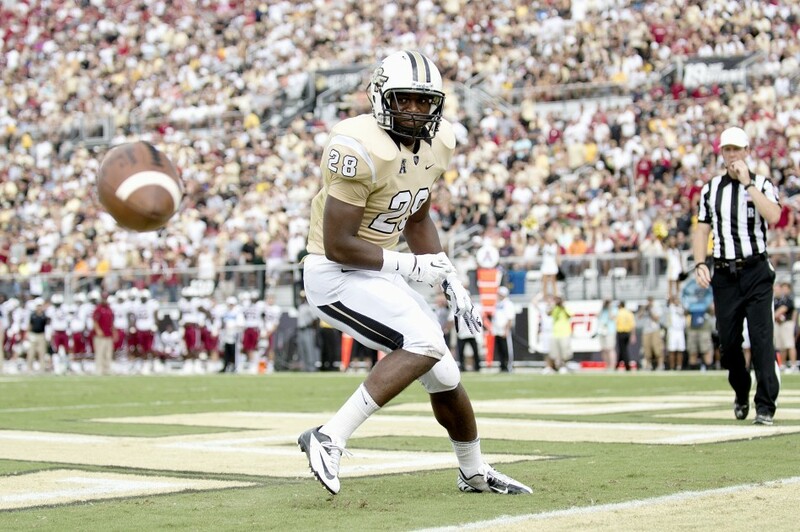 5Freshman RB William Stanback in end zone during USC game. 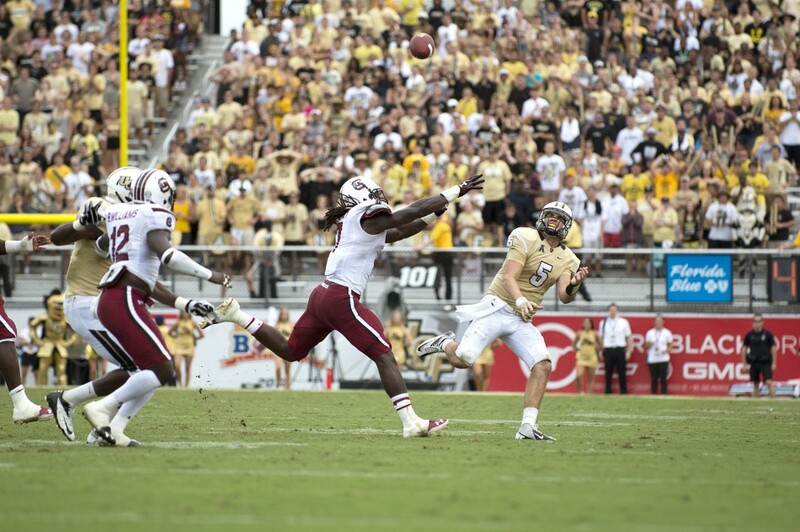 6Capacity crowd watched QB Bortles stretch South Carolina's defense.